Experience New “Vibra” Speakers, best as bone conduction technology can get. They are bigger and closer to your ears. And the sound quality?. Better than ever. Maximize your outdoor activities with powerful and excellent sounds. Trending at C $384.84eBay determines this price through a machine-learned model of the product's sale prices within the last 90 days. 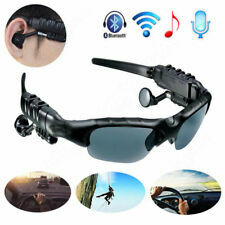 Bluetooth Sunglasses Sun Glasses Wireless Bluetooth Headset Stereo Headphone with Mic Handsfree for iPhone 6S Plus 6 5S, iPod, iPad, Samsung S6 Note 5, HTC, LG G4 G3, Android Smar tphones, MP3 Player. Battery Life: 3.5 Hours of Streaming Music Playing. Cloth bag 1. 58-18-162 mm, square lenses (lenses width-lenses spacing-lenses leg length). 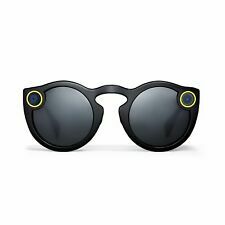 Snap Inc. Snapchat Spectacles Glasses - Onyx Eclipse (Missing Cable!). Condition is Used. Shipped with USPS Priority Mail. And the new functionality will be unlocked soon. It's the tiniest Bose system ever.”. BOSE AR ENABLED. To everyone else they’re just sunglasses. But you know the secret: miniaturized Bose electronics hidden in the temples. No audio issues. - Google Glass Mono Earbud. 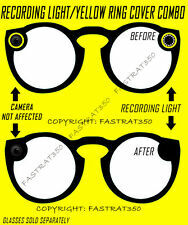 -Sunglass Lenses, Glasses, and Case. - Google Glass Explorer Edition XE-C Charcoal. This item is in excellent working order; however it will show visible signs of handling such as scratches, scuffs or dents. Item is not in the original box. USB included. New in the Factory Sealed Box. Size Small. Lunettes sony 3D neuves (2x paire de 2 lunettes dans boite). Open Box but never used. Webcam neuve dans boitie origine. Trending at C $910.44eBay determines this price through a machine-learned model of the product's sale prices within the last 90 days. Pink Snap glasses with case and power cord, as shown. Thanks for looking! Descriptions: Android powered 3D Video Glasses for immersive entertainment on the go Wirelessly surf the web, download films and play games without disturbing those around you Bluetooth 4.0 makes it quick and easy to connect a keyboard, mouse or gamepad Built in battery brings up to 3 hours of play time, perfect for those long journeys Features: Leap into the world or virtual reality with this pair of Android 4.4 Video glasses. Bringing blockbuster 3D videos to life wherever you are these 3D video glasses support 1080P images and the 700x540 screen resolution bring great depth and color that simulates sitting in front of large 80 inch screen. 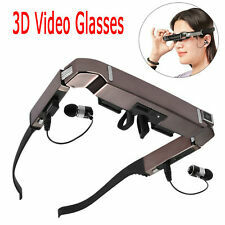 This amazing video glasses is your best choice to enjoy video, audio, ebook, pictures and so on by connecting the Internet Via WiFi. It will bring you much fun! WiFi: Support 802.11b/g/n. Bluetooth version: V4.0. The Vuzix M100's are used and they have about 1 to 2 hours on each pair. We are placing a link to the VUZIX website so you may read more about them. ( You will need to copy and paste in your browser bar). 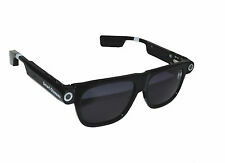 EXCELLENT HD VIDEO MAKES THESE GLASSES GREAT FOR JUST ABOUT ANY ACTIVITY. THIS IS THE WORLDS FINEST. IN TV OUT FUNCTION SO ALL YOU HAVE TO DO IS PLUG IN A CABLE TO THE GLASSES AND. THESE GLASSES ARE PERFECT FOR RECORDING ALL THE. 3D Glasses Type: Shutter. All-in-one Virtual Reality Glasses: No. Sensor Type:1. Condition is New in sealed box. Includes the free 1-year manufacturers’ warranty. Color: tangerine (red). XE Version 2.0. Google Glass Explorer Edition. Glasses fabric case. FULL WARRANTY! VERY FAST INTERNATIONAL SHIPPING!! Battery life: Up to 3.5 hours of streaming music playback. WHAT’S IN THE BOX. 49.5 mm - 15.5 mm - 154 mm. Snap Spectacles. Condition is Used. Shipped with USPS Priority Mail. THEY ARE GREAT FOR GATHERING EVIDENCE FOR JUST ABOUT ANYTHING. 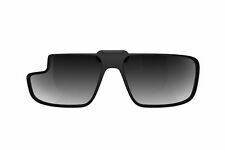 • It is not only a multifunctional smart glasses, but also can be used as the sunglasses. •Bluetooth Paring: This product support iOS phone and Android system. •Phone(Bluetooth): Easily answer your calls. New, open box. Earbuds are unused. A pair of BRAND NEW SEALED Snapchat glasses. These were from the 2016 release, and are made for the iPhone 5 and 6 models. Awesome device and a great gift for the holidays. Excellent piece of history - fantastic gift or just to push back and forth on a desk. The best GOOGLE GIFT for the Google EMPLOYEE or GOOGLE USER. Or the Perfect Google Gift for any Google GLASS USER designer Developer RD Project Manager or in Alphabet Executive hard to buy gift.